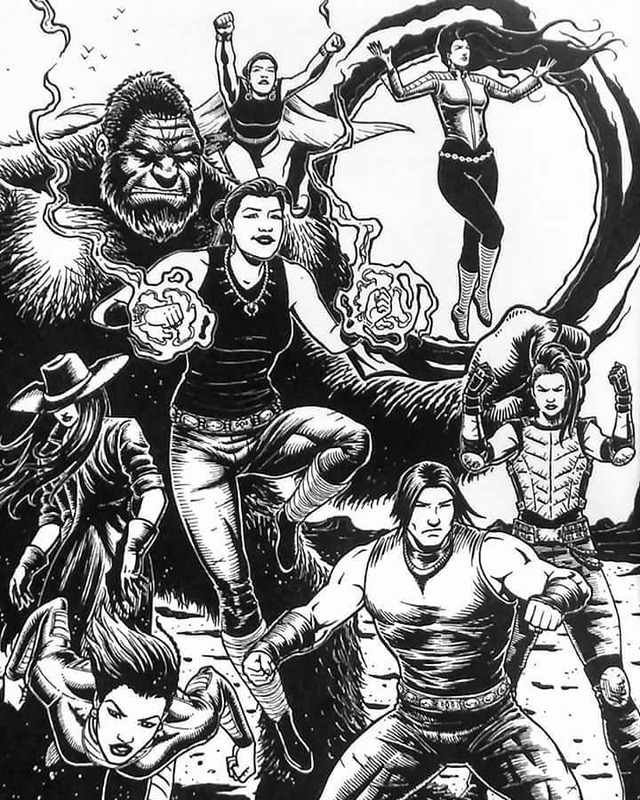 Hi, I’m Shaun Beyale, a comic book artist, Metalhead, Father, husband who loves to draw and create art. Be sure to check out the image slider further down with more of Shaun’s art. Let’s learn more about Shaun and his work! Michael Sheyahshe (MS): Background info: what is your tribal affiliation and where are you from? Shaun Beyale (SB:) Navajo. Born in Shiprock, New Mexico and grew up in Farmington, New Mexico. SB: I grew up with some basic knowledge of my culture and did go to some cultural events growing up. 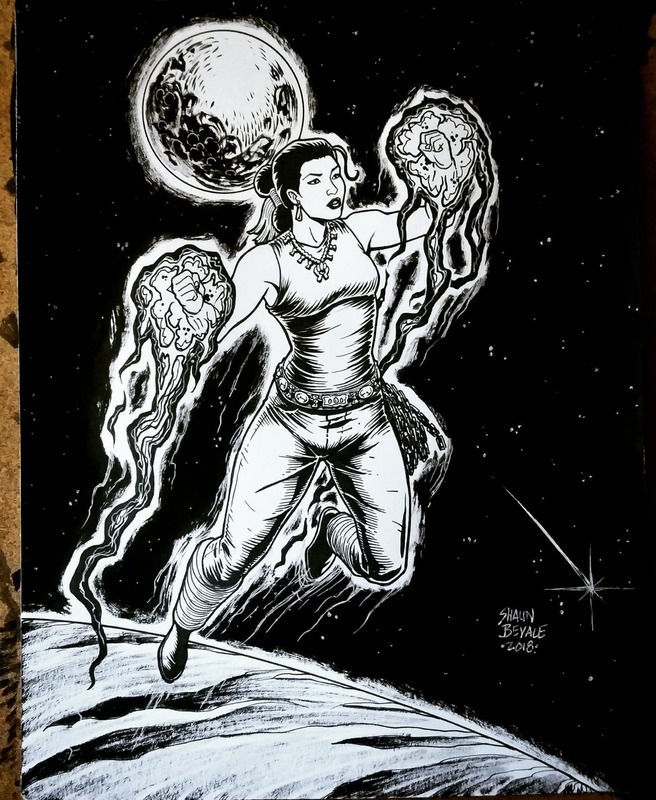 Nowadays I am going back and learning more about my Navajo culture and through my comic book I am exploring themes of who I am as a contemporary indigenous person living in a ever changing modern world. SB: I’ve been into comic books since before I can remember, my favorite characters were Superman, Spider-Man, and Iron Man. Growing up with no electricity or running water, comic books were my entertainment and I could escape into them with my imagination. MS: What is your favorite comic book of all time…something that turns FRI-SUN into a ‘lost weekend’? SB: X-men comics were my favorite growing up, I felt a connection to them and saw parallels to my life. They were a minority group who were misunderstood and feared by the mass public, yet they tried to be themselves and to do good. MS: What is your specialty in the biz? 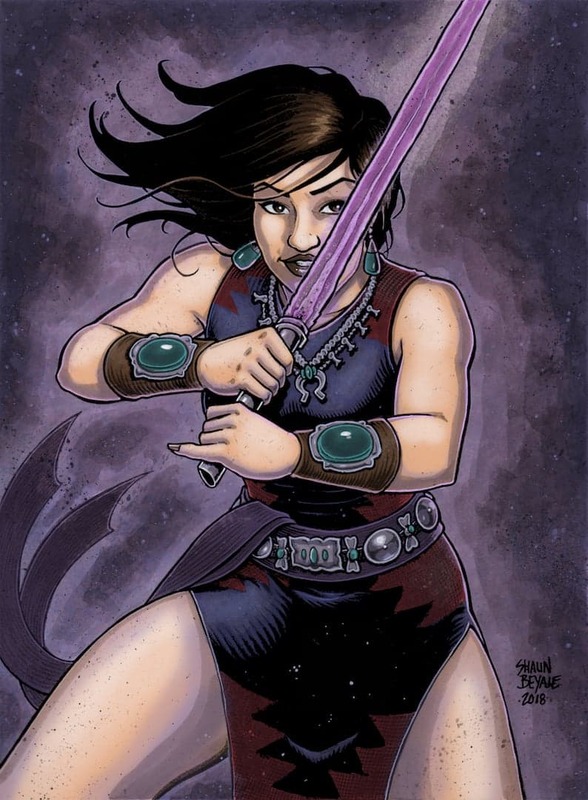 SB: I’m known for my indigenous female superhero characters and pin-up style works. SB: I was self-taught growing up but did eventually go to art school after high school. Art school helped me in my way of thinking about my art and how to articulate what I wanted to say with it. I went to the Institute of American Indian Arts in Santa Fe, NM and got a BFA in Studio Arts. MS: What other comics/projects have you worked on? SB: I’ve done a couple of works for Lee Francis’ Native Realities Press in Albuquerque, NM and with Elizabeth LaPensee with Michigan State University. 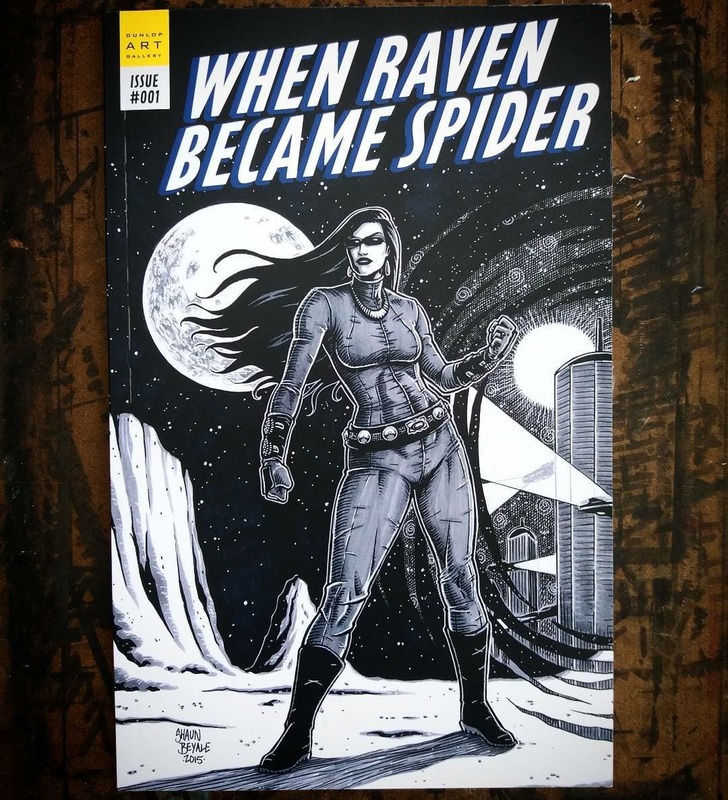 I also have works in the art show “When Raven Met Spider”(Curated by Leena Minifie) going through several galleries in Canada. 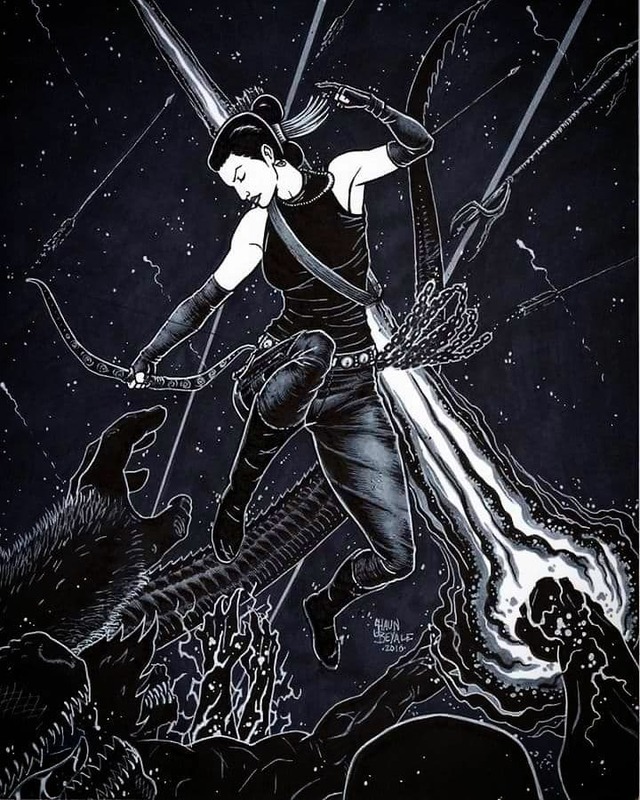 I’m currently working on my own comic book, Ayla the Monster Slayer, which I plan to have ready for Indigenous Comic Con in Albuquerque, NM, November 2018. MS: Do any comic books with Native American characters in them? 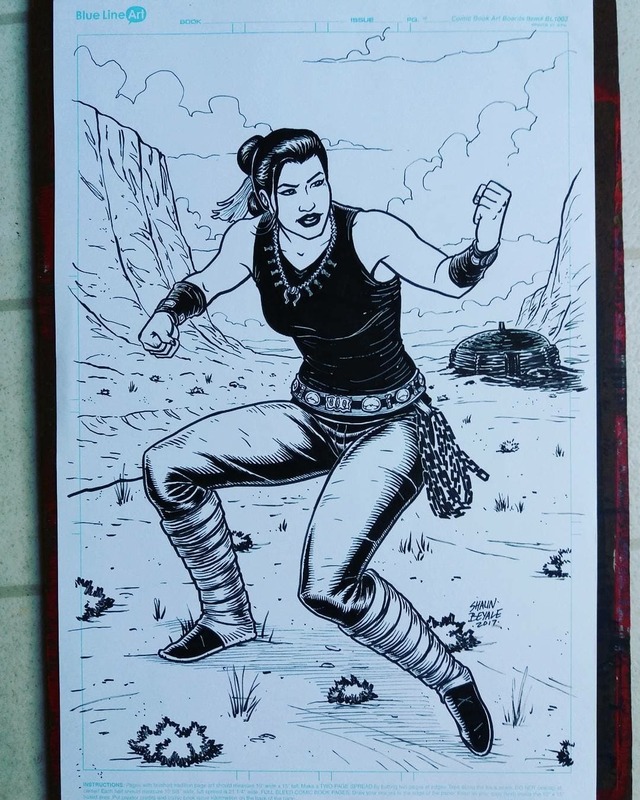 SB: My own comic book, Ayla: The Monster Slayer, is a Navajo female superhero inspired by my Navajo cultural stories. 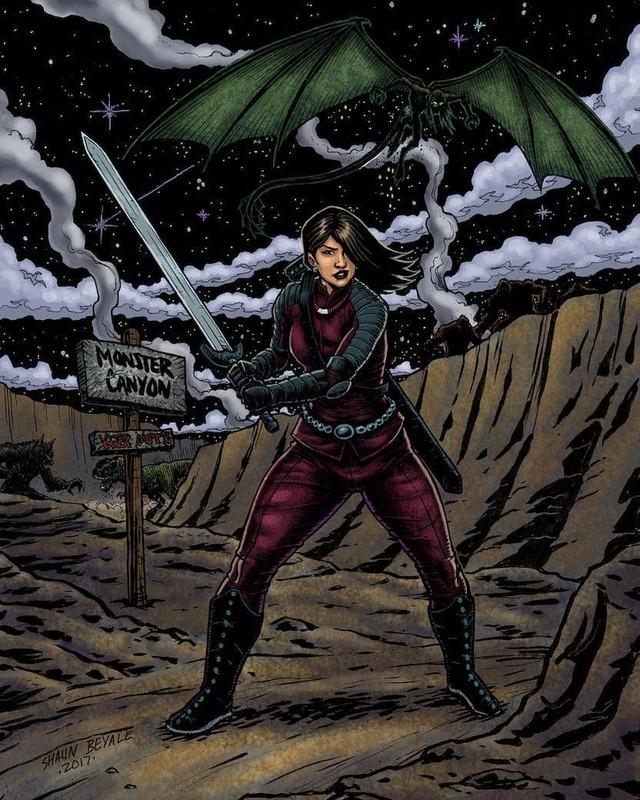 It’s set in the future, in a post-apocalyptic Southwest, where humans are on the brink of extinction and the land is overrun by monsters and crypto creatures under the rule of a clone queen. 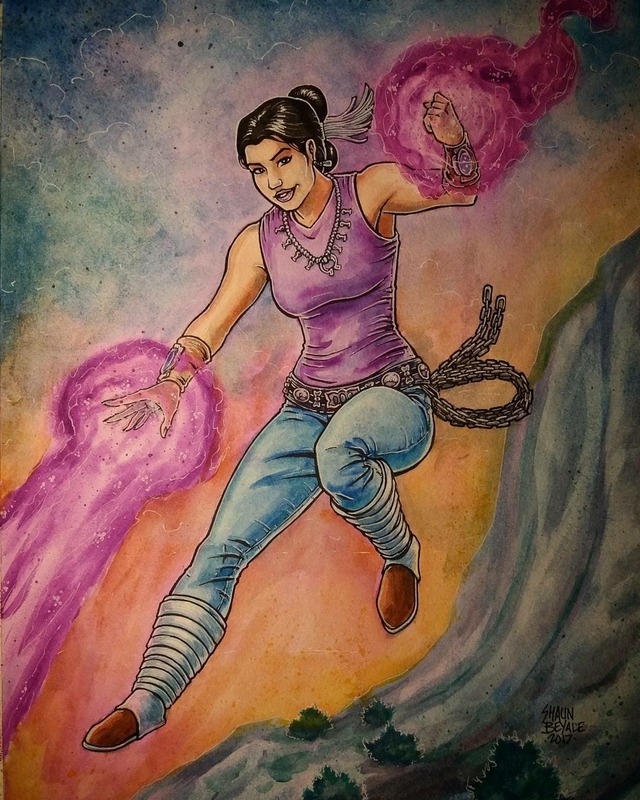 Ayla is here to restore and bring balance back to the land. MS: Do you have an opinion about Indigenous characters in comics, video games, and/or pop culture? SB: For me, I think now is the time, as an Indigenous person, to tell our own stories and to create what we want. Very few indigenous characters in popular mediums seem genuine or are treated respectfully and the few that are represented in a positive light are rare. Tim Truman’s Scout comics I discovered in college were great, Tim is not Native but you can see he is respectful and has love for Indigenous culture. And I’m happy to have met him and call him my friend now. 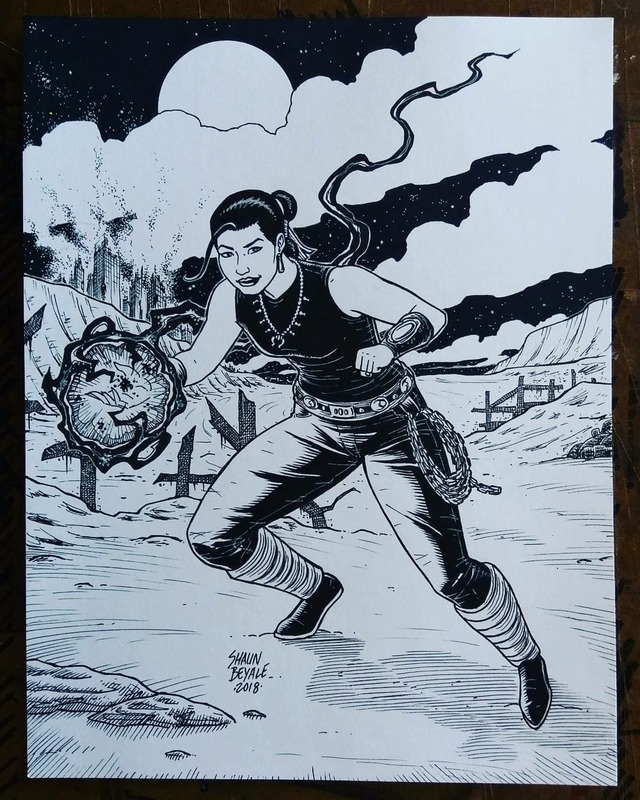 And after attending the first Indigenous Comic Con it was great to see so many other indigenous creators all making their own path in pop culture mediums. MS: Do you know of any other Natives in the “biz” (comics/video game industry)? SB: Shamus Beyale (my brother), Dale Deforest, Weshoyot Alvitre, Jay Odjick, Richard Crowsong to name a few. SB: Be passionate about your art, trust your instinct, practice, listen to feedback and remember why you want to do this. Only you know what your art is, others may judge or criticize but if you art is genuine people will gravitate and appreciate to you. Keep it fun and enjoy the ride. Thanks!